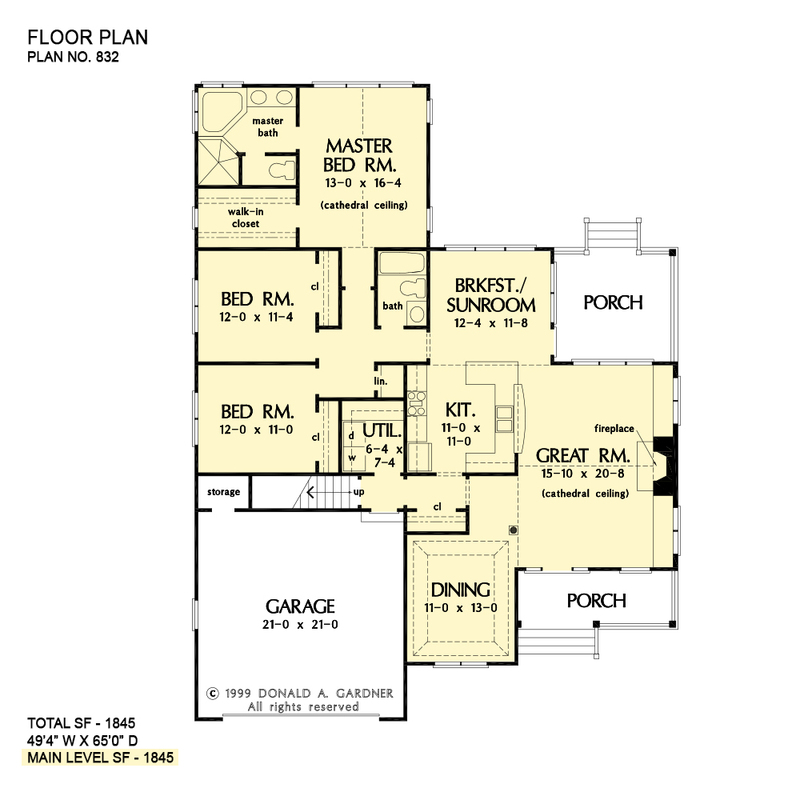 Arches in the front porch are echoed by arched windows in the garage doors and over the front door of this slim, three bedroom design, an excellent choice for narrow lots. A cathedral ceiling heightens the great room, which features built-in shelves below double windows on either side of the fireplace and a rear wall of windows overlooking the cozy back porch. The efficient kitchen is positioned perfectly to serve the dining room, great room, and breakfast/sunroom. A nearby utility room boasts additional cabinet space. Two family bedrooms share a hall bath, while the master suite enjoys a private bath, walk-in closet, and cathedral ceiling. A bonus room over the garage makes expanding easy. 1st Floor: 1845 Sq. Ft. 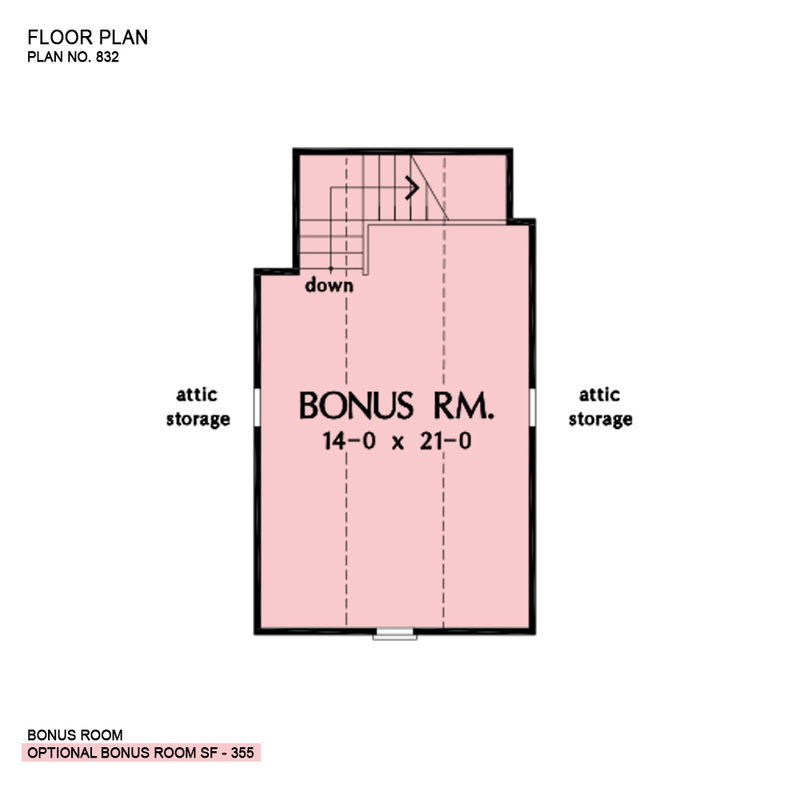 Bonus Room: 355 Sq. 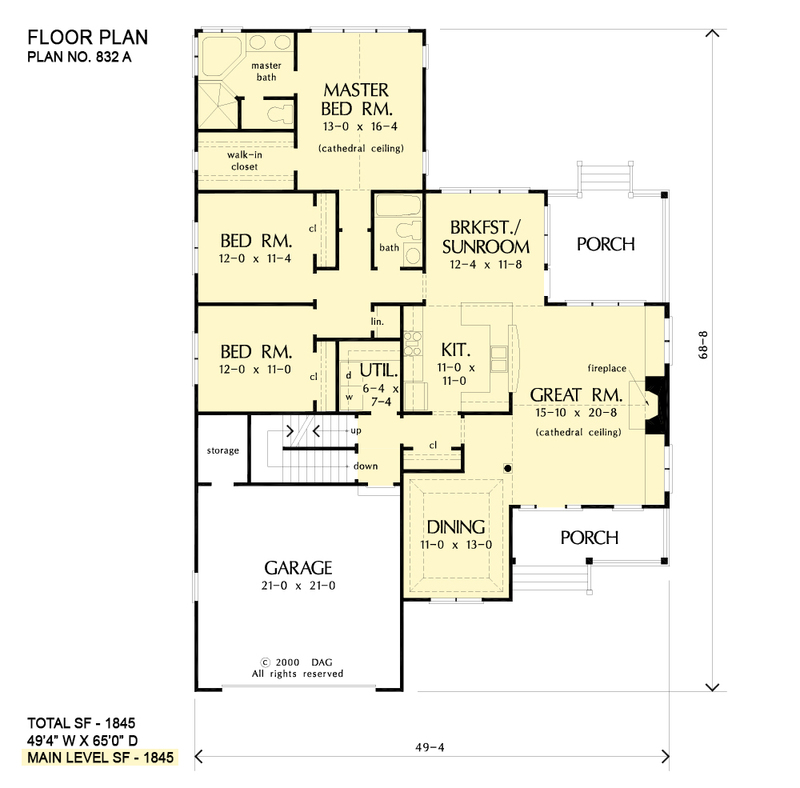 Ft.
House Dimensions: 49' 4" x 65' 0"
Great Room: 15' 10" x 20' 8"
Garage Storage : 5' 2" x 3' 4" x 0' 0"
Master Bedroom (Cathedral): 13' 0" x 16' 4" x 16' 0"
Porch - Rear : 12' 8" x 11' 8" x 0' 0"
Great Room (Cathedral): 15' 10" x 20' 8" x 18' 0"
Kitchen : 11' 0" x 11' 0" x 9' 0"
Breakfast Room : 12' 4" x 11' 8" x 9' 0"